CARFAX 1-Owner. Tradesman trim. SINGLE DISC REMOTE CD PLAYER, RADIO: UCONNECT 5.0 AM/FM/BT, Trailer Hitch, 4x4, Turbo Charged READ MORE! 4x4, Trailer Hitch. Ram Tradesman with Granite Crystal Metallic Clearcoat exterior and Diesel Gray/Black interior features a Straight 6 Cylinder Engine with 383 HP at 5600 RPM*. ENGINE: 6.7L I6 CUMMINS TURBO DIESEL GVWR: 10,000 lbs, 5.5 Additional Gallons of Diesel, Cummins Turbo Diesel Badge, Current Generation Engine Controller, 50 State Emissions, Diesel Exhaust Brake, Selective Catalytic Reduction (Urea), Tow Hooks, 180 Amp Alternator, RAM Active Air, CHROME APPEARANCE GROUP Bright Rear Bumper, Tires: LT275/70R18E BSW AS, Bright Grille, Wheels: 18" x 8.0" Steel Chrome Clad, Bright Front Bumper, 18" Steel Spare Wheel, RADIO: UCONNECT 5.0 AM/FM/BT 5.0" Touchscreen Display, Overhead Console, Rear View Mirror w/Microphone, Temperature & Compass Gauge, Integrated Voice Command w/Bluetooth, Charge Only Remote USB Port, SIRIUSXM Satellite Radio, For More Info, Call 800-643-2112, 1-Yr SIRIUS Radio Service, POPULAR EQUIPMENT GROUP Remote Keyless Entry, Carpet Floor Covering, Front & Rear Floor Mats, SIRIUSXM Satellite Radio, For More Info, Call 800-643-2112, 1-Yr SIRIUS Radio Service, TRANSMISSION: 6-SPEED AUTOMATIC (68RFE), ANTI-SPIN DIFFERENTIAL REAR AXLE, SINGLE DISC REMOTE CD PLAYER, POWER BLACK TRAILER TOW MIRRORS Exterior Mirrors Courtesy Lamps, Exterior Mirrors w/Supplemental Signals. Privacy Glass, Child Safety Locks, Electronic Stability Control, Brake Assist, 4-Wheel ABS. "The 2014 Ram 2500 is a top pick for a heavy-duty truck thanks to its top-notch interior, comfortable ride quality and impressive towing and hauling capabilities." -Edmunds.com. 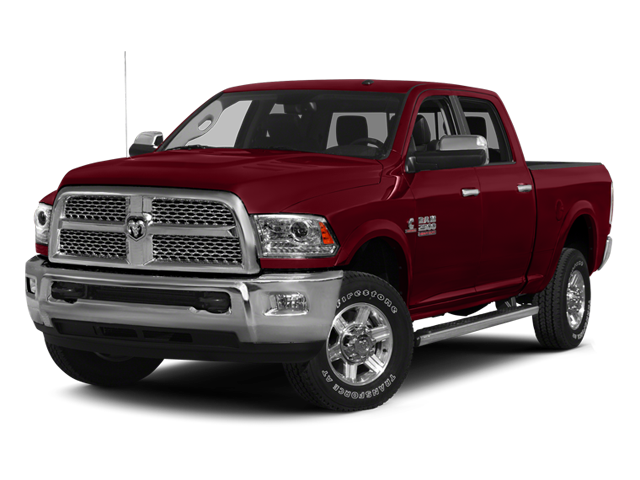 Hello, I would like more information about the 2014 Ram 2500, stock# B5237. Hello, I would like to see more pictures of the 2014 Ram 2500, stock# B5237.